The Boxee Box is dead. Long live Boxee TV! 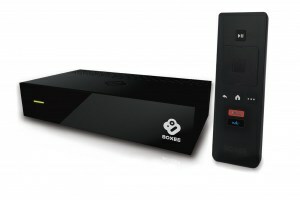 Boxee has announced a new box that’s not like a box at all, but more like a conventional media component, called the Boxee TV. This new box begins a complete overhaul of the Boxee operating system, most notably removing the web browser and many apps. Boxee believes the new GUI look is more modern and less cluttered than before. Also out is the keyboard on the remote. The big news with Boxee TV is the built-in over-the-air tuner to watch and record live TV with high-definition resolution. Boxee provides a digital TV antenna for good measure. There is also a cable tuner to provide DVR service to basic cable subscribers. 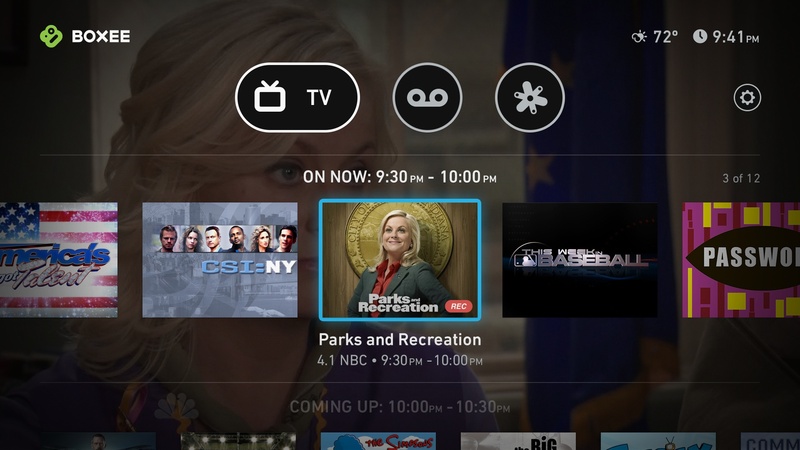 The Boxee TV is $99, and the No Limits DVR is $14.99 per month. No Limits DVR isn’t available in all areas. There isn’t any information on if a No Limits DVR subscription is necessary to record live TV, nor how much storage there is without it. This is a very compelling price point and feature set for the growing number of cable cutters. My only concern is Hulu Plus isn’t available on the Boxee TV, so this may not be your only streaming device if that’s important.